Some music should be part of a health care program. Or receive funding from the Department of Transportation. Because what better remedy when feeling a bit washed-out or dozing off behind the wheel than listening to the punches ID!OTS throw at their audience? Their third album has been released in 2017: 1 rehearsal session at Track Studio's, 1 recording session at Yellow Tape Studio, 3 songs. Straight from the darkest side of the dungeon! Raw, dirty, dangerous, hilarious... Analogue. No overdubs. What you hear is what you get! Will GoddoG ever forgive us? Fast forward to September 30th, 2017: after the release of "Atomium Pluto", a collection of unreleased Ugly Papas songs (released on Mayway Records), Night of the Ugly Papas is being organized. ID!OTS impressed with their version of "Ma Guitare". Even to the extent that they recorded their own version at Closed Session studios. 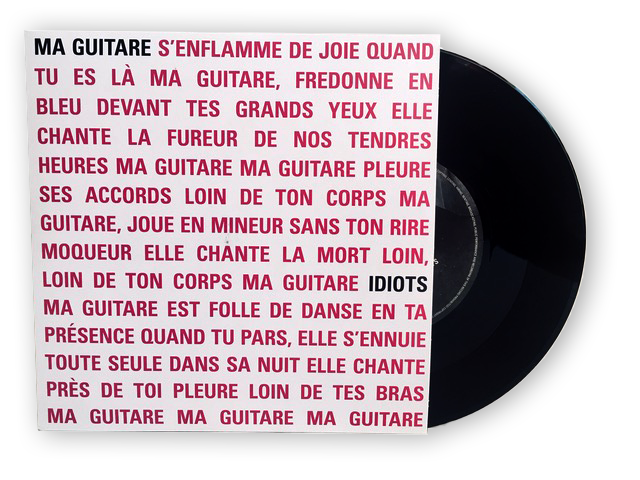 On December 7th, 2018, the split single "Ma Guitare", with both the Ugly Papas version from 1994, and the ID!OTS version was presented at De Kreun in Kortrijk.